Washington State SHRM’s conference brings acclaimed employment law attorneys, national speakers and SHRM experts to the podium delivering powerful and impactful presentations on ever changing employment laws and legislative issues, as well as the role of HR practitioners and business leaders in these unique times. 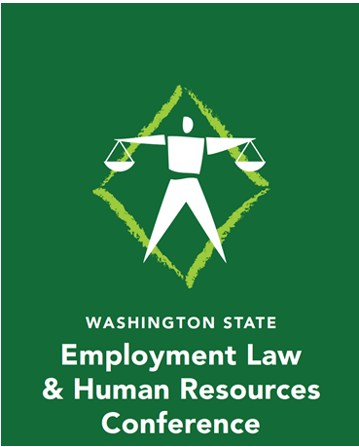 Washington State Human Resources Council extends an invitation to join us in Seattle, Washington for Washington State Employment Law & Human Resources Conference. Click here to see additional information and to register. The Conference offers five tracks that cover Recruiting, Technology, Legal, and HR Generalist and a Senior HR Professional track. Other features include three pre-conference webinars and three keynote speakers.